The easiest way to plan a great kids party is to start with a theme into which all the different party elements fit perfectly. Your most important input in deciding on the party theme should come from the party child. Consider his or her interests and favorite things, such as sports, hobbies, cartoon characters, TV shows, books, animals, and so on. 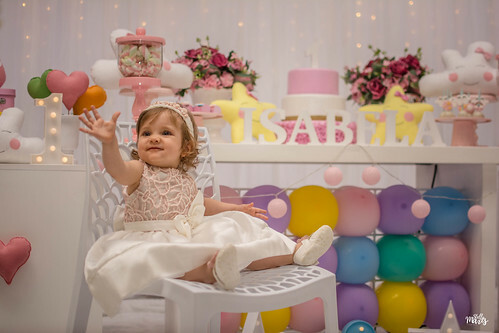 Kids love to be involved in the party planning – the anticipation is part of the fun! Next, consider each of the party elements in relation to your chosen theme. These elements include invitations, decorations, cake, costumes, games, food, and favors. You don’t have to use all of the elements, but once you get brainstorming you’ll probably want to! Invitations can be homemade from your computer or fashioned by the party child. There are lots of internet sites which offer many themed designs at a reasonable cost, or you can even send invitations via email. Don’t be afraid to try new ideas such as writing party details on a balloon, deflating it and mailing to guests. Decorations are easy if you stick with the basics. Balloon bunches and crepe paper streamers go a long way toward setting a festive party atmosphere. A handmade greeting sign on the front door welcomes guests to your party spot. A plastic tablecloth decorated with markers by the party child lends a personal touch, and his or her toys can double as party accents, if they fit with the party theme. The party cake is an indispensable part of your celebration, but it needn’t be from a fancy (and pricey) bakery. A simple rectangular cake adorned with a few of your child’s small plastic toys makes a perfectly acceptable cake. Try grouping cupcakes on a platter with a candle in each to serve as a nontraditional cake. Better still, let party guests frost and decorate their own cupcakes. How about making a birthday cookie or “pizza” by baking pre-made cookie dough in a pizza pan and frosting it? An internet search for “birthday cakes” will also provide you with many popular cake designs and ideas. Costumes are a fun addition to your party plan, especially when guests get to become their own party-themed character. Make a habit of collecting hats, scarves, bandannas, sunglasses, fabric, and other clothing items that can be transformed into simple costumes. Yard sales and resale stores often yield used costumes, hats, ribbon, etc. at a fraction of their original cost. Facepainting with a little acrylic paint mixed with liquid soap easily makes party guests into pirates, monsters, clowns, you name it. Competitive games are the best way to get all the guests engaged and excited. It’s easy to take many traditional games and give them a clever twist to fit with your party theme. For example, “pin the tail on the donkey” becomes “pin the crown on the princess” for a princess party. “Freeze tag” becomes “frozen zombies” for a Halloween or monster party. “Hot potato” can be “pass the parrot” for a pirate party, and so on. Kids party food should be simple, as guests are usually too excited to eat much anyway. Plan an easy entree such as pizza or finger sandwiches and provide various munchies such as cut-up vegetables and dip, grapes and apple slices. The cake and ice cream will provide enough sugar to keep kids happy. If you want to get a little fancier, visit the many cooking websites for thousands of recipes to inspire you. Food can also be designed to fit with the party theme. For instance, chicken wings become “pteradactyl wings” for a dinosaur party, punch can be a “love potion” for a princess party, chicken tenders can be “golden nuggets” for a pirate party, you get the idea. Party favors extend the fun and fuzzy feeling kids get from partying! There’s nothing like having “a little something” as a remembrance of a fun day. Goody bags are always popular; even though parents sometimes object to the candy and plastic toys, kids still love ’em! Gift certificates to fast food restaurants are a hit too, as are books, glow necklaces, and simple personalized toys. “Make and take” party favors are the best as kids get to create and keep their own special parting gifts. Creating a party theme is easy if you take it step by step and plan ahead. You may find that planning your child’s party can be as fun as the party day itself!